Got a new statue from Syco Collectibles! Cool statue! Even cooler back-drop eh?! 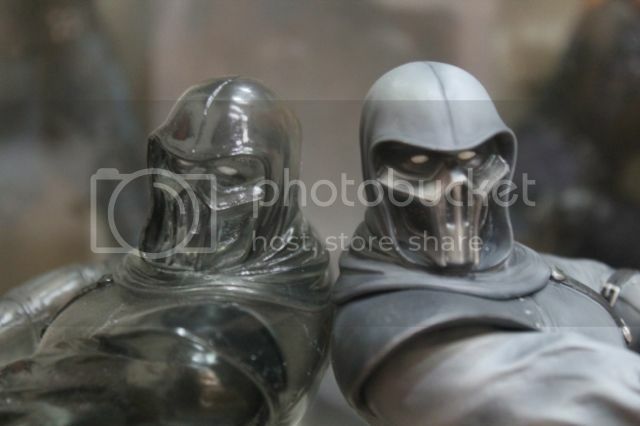 Noob Saibot Exclusive 10 Inch Statue from Syco Collectibles! 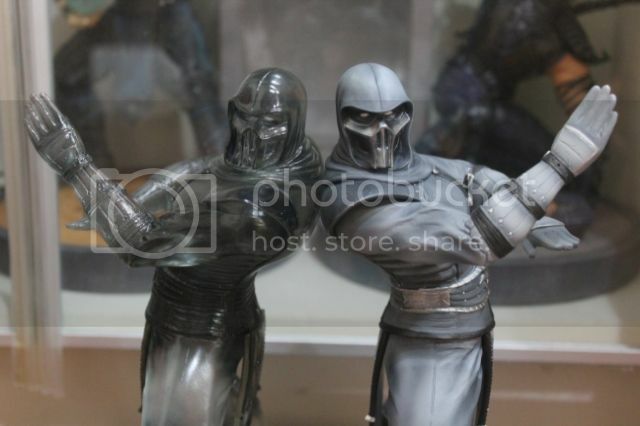 The Exclusive comes with his clone, depicting Noob Saibot's MK9 winning pose. The clone is given a translucent look which works I guess. Face (Mask) sculpt is rather accurate to the in-game character model so I'm pleased with that. 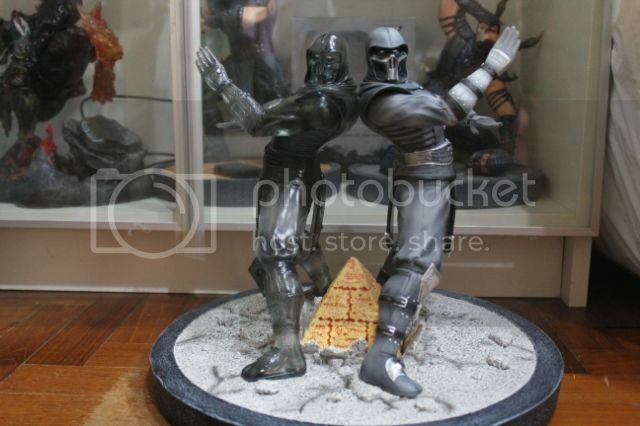 A look at the base shows the Pyramid of Argus from Mortal Kombat Armageddon. 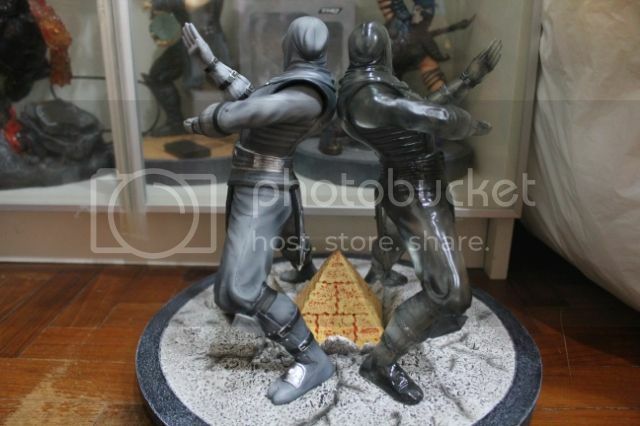 I still don't understand the reasoning behind the decision to put a mini-pyramid in between Noob Saibot and his clone though... Many were complaining about that decision so I don't know why they decided against changing it. 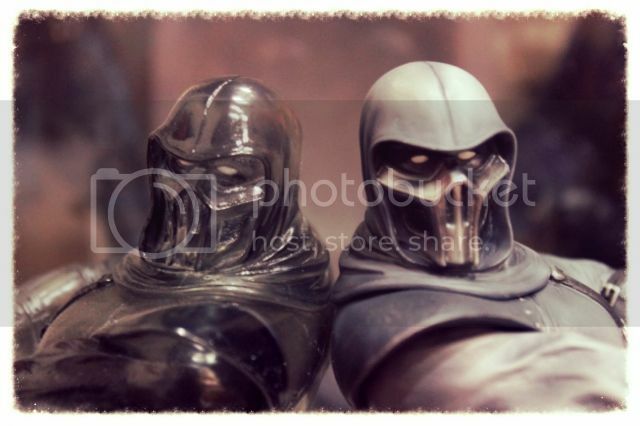 A fascinating character, Noob Saibot from the MK Universe. He has become one of my favourite characters, along with Scorpion and Cyrax, after Mortal Kombat 9. Also a very fun character to play as! 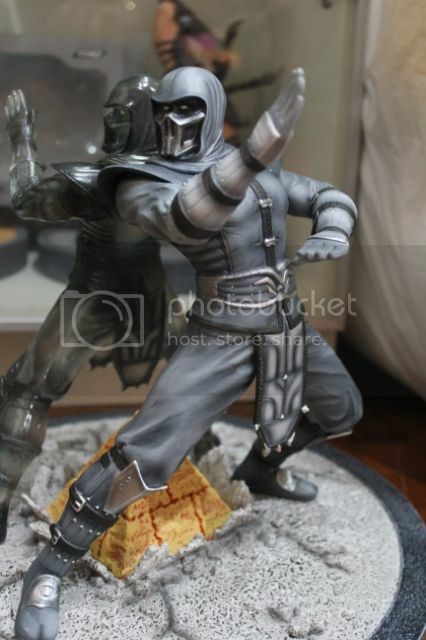 As much as I love this statue, it leaves a bad taste in my mouth after the Syco Collectibles saga. 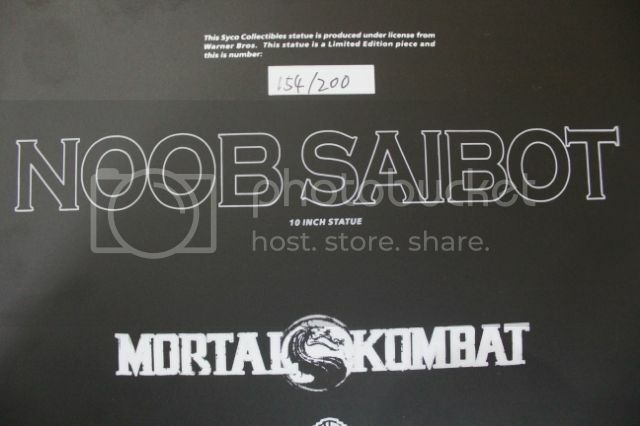 Word is that they have lost the Mortal Kombat license as well so it seems like we won't be seeing many more from them. I know, to some established statue collectors, the quality of these were never up to standard so it's not going to be a loss to them. But as a Mortal Kombat fan and one of those who really appreciated the new MK9 designs, I have to say I'm disappointed. 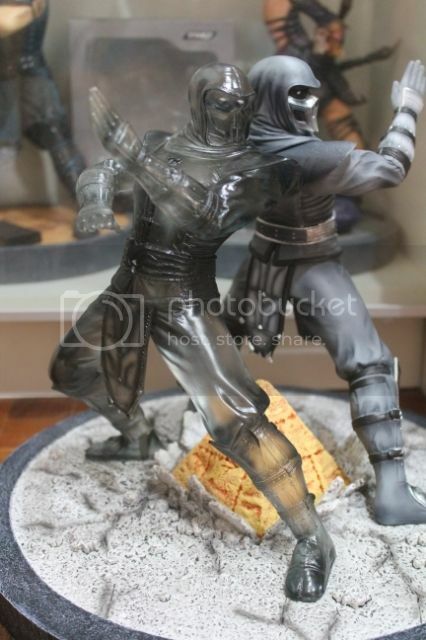 Maybe I'm easy to please but the desire for Mortal Kombat figures made me want these badly. 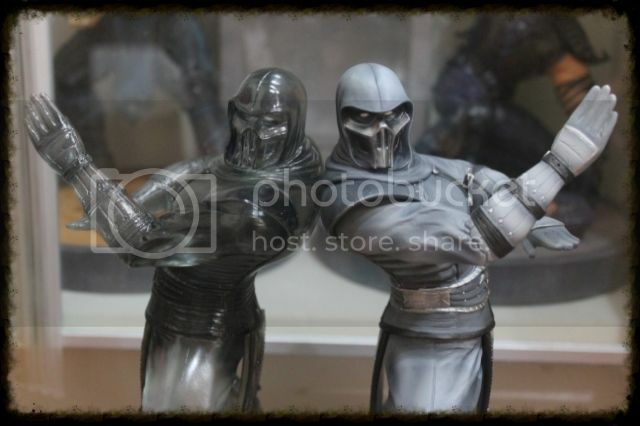 Hi there, my Noob Saibot was sent on 5th July and received on 8th July. I'm in Singapore and from my experience I get the items pretty fast. From what I know SubZero Fatality hasn't even started production yet. I hope you get it though. I am contacting them to ask for refund. I'm scared after I read a lot about the Syco and refunds. Jonathan told me that they would only send in September. The date of initial shipment was in January this year. They are crooks, Syco has has my order on hold for over2 months now even though I have paid for it. They keep telling me they will ship it and have had a bunch of random excuses....They will not reply to me and have kept my money even though I have asked for a refund. I will never go back to Syco again.